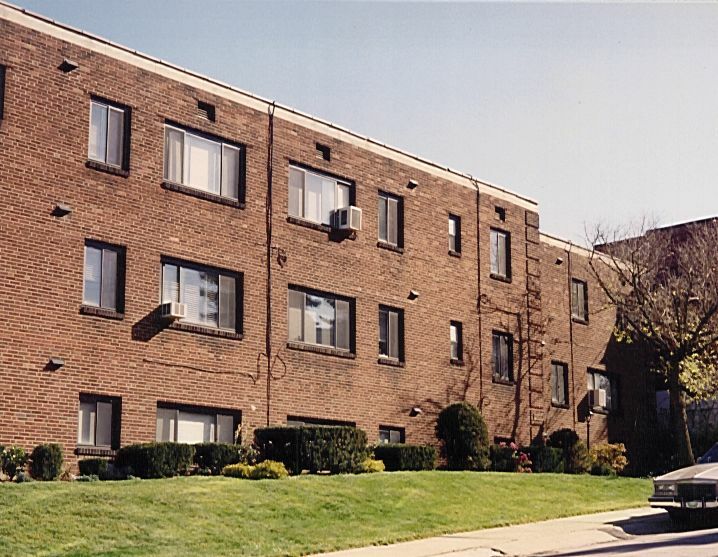 10 Purchase Place (Purchase) is located just a few blocks off the highly traveled south hills corridor of Washington Road (Route 19) and Cedar Boulevard in the Borough of Mt. Lebanon (please see map below). Purchase is a modern three story brick building constructed around 1950 which houses four 2-bedromm apartments, thirteen 1-bedroom apartments two furnished studios and ten heated integral garage spaces. Purchase has been renovated to include a new roof, windows, intercom entry system, central fire alarm system, emergency lighting and attractive hallway decorations. 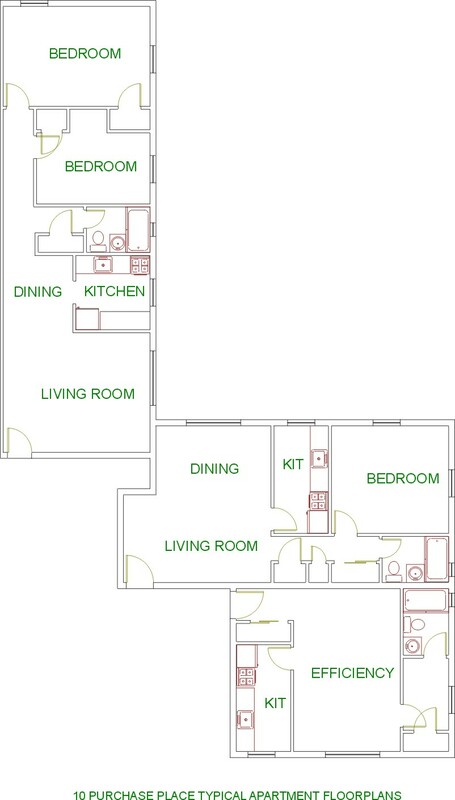 The apartments are serviced by gas hot water heat. A coin-op laundry and storage lockers are available in the basement. All apartments have been renovated to include new appliances, wall to wall carpeting, ceiling fans, mini-blinds, paint and bath upgrades. Plenty of off-street parking is available in the adjacent school lot and there may be a garage space open. Bus transportation is available near the door. 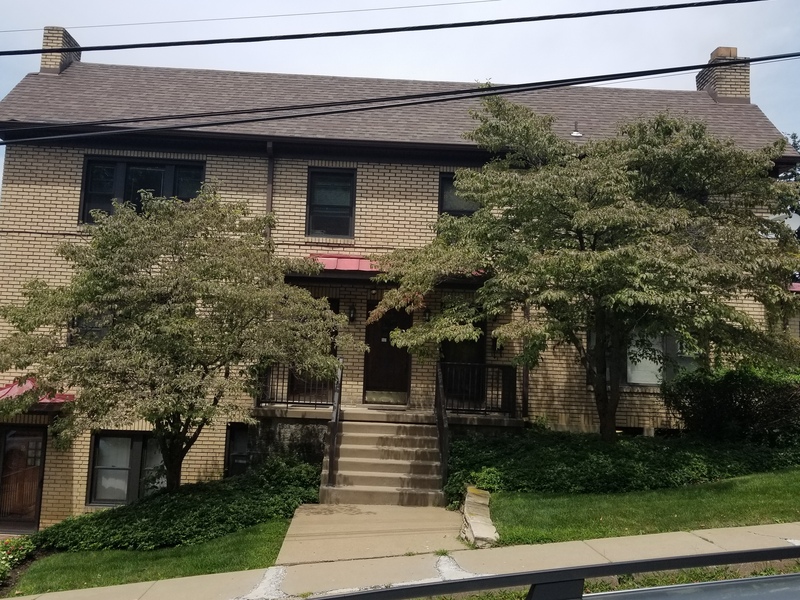 32 Shady Drive West (Shady) is located just a few blocks off the highly traveled south hills corridors of Washington Road and Banksville Road in the Borough of Mt. Lebanon (please see map below). Shady is an eclectic brick building constructed around 1927 which houses two 2-bedroom apartments, six 1-bedroom apartments, one studio and four garage spaces. The apartments are serviced by gas hot water heat. A coin-op laundry and storage lockers are available in the basement. All apartments have been renovated to include new appliances, refinished hardwood floors, ceiling fans, mini-blinds, paint and bath upgrades. Each 2-bedroom apartment has a decorative tile fireplace. 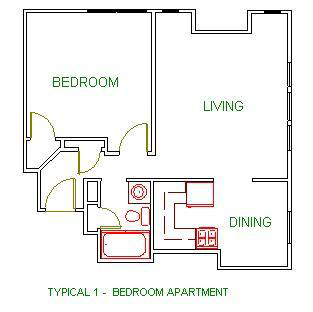 The 1-bedroom apartments have stained glass windows and functional window seats. Plenty of on-street and on-site parking is available and there may be a garage space open. Bus transportation is available one block away on Washington Road. According to the most recent census, the Borough of Mt. Lebanon has a population of approximately 17,595. Mt. Lebanon is located approximately 5 miles south of the City of Pittsburgh and 14 miles east of Pittsburgh International Airport off the Parkway West (Route 376 West) at exit 69A, Banksville Road. The major access roads through Mt. Lebanon are Washington Road (which is a continuation of the roadway through the Liberty Tubes tunnel from the City of Pittsburgh outbound) and Banksville Road which is accessible from the Parkway West at Exit 69A (from the Fort Pitt Tunnel outbound from the City of Pittsburgh). Laurel Properties maintains two properties in Mt. Lebanon: 32 Shady Drive West, located 1 block west of Washington Road in the heart of downtown Mt. Lebanon and 10 Purchase Place, located three blocks off Washington Road and one block off Beadling which runs between Washington Road and Cedar Boulevard. Mt. Lebanon features two eclectic shopping areas, one on Washington Road and the other on Beverly Road. Additional shopping is available approximately 3 miles further south on Washington Road which becomes Route 19 South. Located there are numerous restaurants, stores, shopping centers, theaters and the noted South Hills Village. Mt. Lebanon maintains a full time paid police force, a full time paid fire department and a combination volunteer/paid ambulance service. Upper Saint Claire Hospital serves the area. Residents of Mt. Lebanon attend the Mt. Lebanon School District. The municipal wage tax rate is 1.3%.